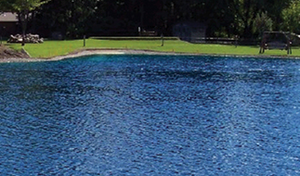 This product is a liquid concentrated non-toxic dye, and is for use in both Ponds and Lakes. This product is non-toxic to fish. Available in both Blue and Black colours. 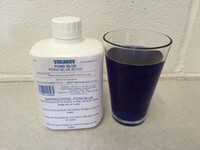 Pond blue is used to trace any potential leaks in areas where fish are present, and to enhance the appearance of any pond or lake. 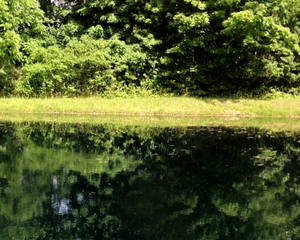 Pond Black is used to reduce sunlight in to areas where algae growth is a problem. If your paying with a card please choose WorldPay instead of PayPal, it helps us greatly. Thank you. 5 Litres of Pond Blue will colour 250,000 Litres of water. 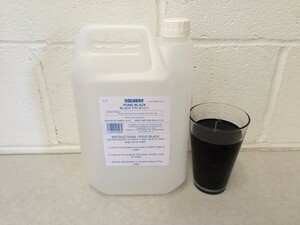 5 Litres of Pond Black will colour 25,000 Litres of water. Add the dye directly to several areas of the water you want to colour or treat. Prices are subject to VAT (at 20%) but include delivery to a UK address. Delivery of your order will be made within 3 - 5 working days. For large orders please call us for prices on 01925 825335. For delivery outside the UK please contact us to discuss. We accept credit and debit card payments powered by the secure WorldPay Payment Gateway. We also accept PayPal. Please make sure you select the correct payment option when placing your order as PayPal will be selected as default. If you are paying with either credit or debit card please select WorldPay. All orders placed with PayPal will need to be sent to the confirmed PayPal address for that payment. Please make sure this is correct when ordering. If the delivery address is different, please select WorldPay for the transaction. Secure Credit and Debit card payments are Powered by WorldPay. We also accept PayPal. Please make sure you select the correct payment method (WorldPay or PayPal) when placing your order as PayPal is selected by default. All orders placed with PayPal will need to be sent to the confirmed PayPal address. Please make sure this is correct when ordering. If the delivery address is different, please select WorldPay for the transaction.